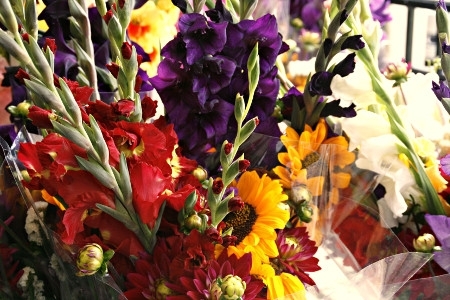 Fresh cut sunflowers, glads and mixed bouquets! Perfect for any occasion, gift, or just for decorating your home! Brighten up your kitchen while the blooms are beautiful!